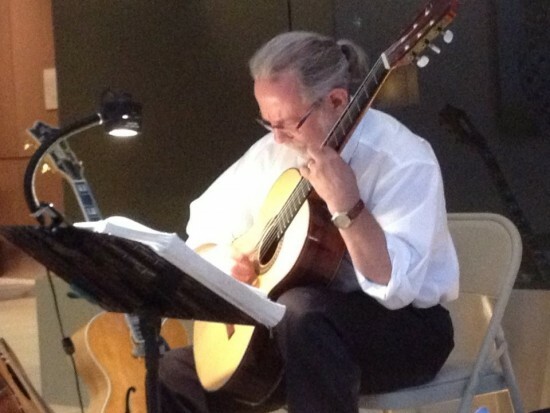 Ambient solo jazz/acoustic/classical guitar for an elegant, intimate atmosphere. One of the region's finest solo performers. Unaccompanied Jazz, Acoustic (a.k.a. "Adult Contemporary") and Classical guitar styles. Performing credits include: Pittsburgh Symphony Orchestra, Baltimore Symphony Orchestra, Nat'l Philharmonic, Pgh CLO, Pgh Musical Theatre, WV Public Theatre many more (resume upon request). Member, American Federation of Musicians, Pgh Local #60-471 for many years. Was very professional and did a good job. Scott was the perfect touch to our small wedding ceremony. The music was beautiful and Scott couldn't have been nicer. I would highly recommend him. We could not have been more thrilled with Scott Elliott. He is truly a fantastic musician and has a great instinct about how to be a meaningful part of a private celebration without being intrusive at all. Scott went above and beyond for my mother’s birthday dinner; he arrived with three different guitars to achieve different sounds throughout the evening. He was considerate and polite - arriving well before our agreed start time. I hope to work with him again and again! 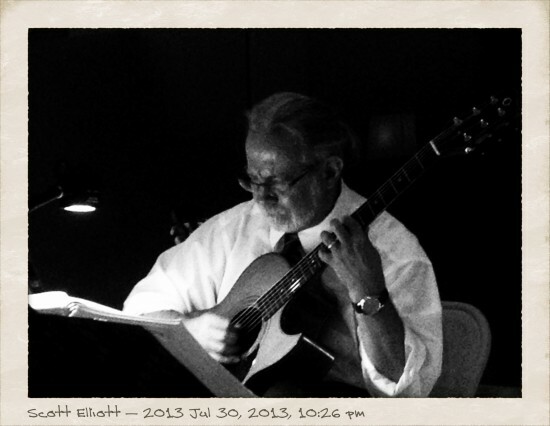 Mr. Elliott is a joy! Gifted guitar player for our wedding. Don't bother asking anyone else! He made our day wonderful! Scott was a very professional and kind person to work with -- not to mention he has an impressive musical resume. His guitar playing made an anniversary surprise very special for my husband and I. He is willing to travel to your location, and is willing to learn new music. He made sure to learn a few of our favorite songs for our event. We highly recommend him for especially intimate settings, and any very special occasion. Thank you Scott! Our daughter got married outdoors at a lavender farm. Scott's music seemed very appropriate. He was happy to play any songs that she requested, and had some suggestions of his own. Scott was easy to work with, and made every effort to make our daughter's wedding special. Scott also played during the cocktail hour which was lovely. This review is long overdue but I have been meaning to publicly praise Mr. Elliott for his performance at our wedding ceremony for a while. He was an absolute professional and worked with us to provide the experience that we wanted by taking song requests and turning them into beautiful pieces of art like I had never heard them before. I would hire Mr. Elliott again for any event in the future should a situation arise. First and foremost, he is very talented. Scott did an amazing job of accommodating all of our song requests, as varied as they were. He is an accomplished musician and obviously can adapt to many circumstances. My husband and I had recently engaged Mr. Elliott for our son and daughter-in-law's post wedding day party in Pittsburgh. We had a formal sit down dinner for over 200 guests (many who were from out of town) and Scott performed solo guitar at simply a world class level. We, along with many of our guests who commented, were just captivated by his performance and it was, by far, the most enchanting memory of the evening! We are so grateful for his professionalism throughout the booking and scheduling process, his attention to our needs and requests, and then, finally, over-delivering with such a moving and beautiful performance. Thank you, Scott! We can't wait for another opportunity to hear you play again! Scott played the cocktail hour and the ceremony for my wedding. He executed the requested pieces with the exact style that I was looking for. It was beautiful. I have a college degree in piano performance - from one musician to another, I can tell you that this guy is good. Hire him. You can trust me to do a professional and artistic performance at your private function. The music is transparent -- no vocals, no drum machines, no tapes or "looping" that might be intrusive to conversation. I'm available for weddings, receptions, cocktails, corporate events, rehearsal dinners, house parties, holiday gatherings, etc., etc., etc. . . anything that might benefit from the added touch of live ambient background music. I'm comfortable performing for an intimate dinner for two, or a reception of several hundred. Repertoire ranges from Cole Porter to Eric Clapton, Disney to J.S. Bach. Are you planning an event that may benefit from the elegant, intimate atmosphere of an acoustic solo guitarist? If you think this might be the added touch of class your event might require, please contact me. My forte is unaccompanied Jazz, Acoustic (a.k.a. "Adult Contemporary") and Classical guitar styles. 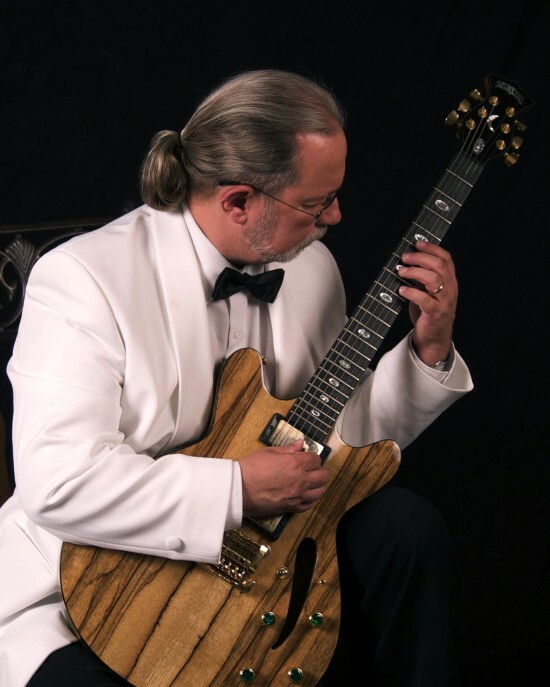 I've had decades of experience in this genre, as staff guitarist for the Upper St Clair Country Club (nearly 18 years), Alfano's at the Quail, and Palazzo 1837; I've performed with the Pittsburgh Symphony Orchestra (more than twenty week-long runs since 2001, including Deep Creek, MD and Philadelphia tours; the recent Marvin Hamlisch tribute and Valentine's concerts; Jackie Evancho; Disco Days and Boogie Nights; PIXAR in Concert; Idina Menzel) as well as several other top performing organizations (Baltimore Symphony Orchestra, Nat'l Philharmonic Orchestra, Pgh CLO, Pgh Musical Theatre, WV Public Theatre, etc.) and presently hold teaching posts in guitar at two large universities (WVU, WLU) and an exclusive, prominent private college (W&J). You can trust me to do a professional and artistic performance at your private function. The music is transparent -- no vocals, no drum machines, no tapes or "looping" that might be intrusive to conversation. I'm available for weddings, receptions, cocktails, corporate events, rehearsal dinners, house parties, holiday gatherings, wine tastings, brunches, etc., etc., etc. . . anything that might benefit from the added touch of live ambient background music. I'm comfortable performing for an intimate dinner for two, or a reception of several hundred. Repertoire ranges from Cole Porter to Eric Clapton, Disney to J.S. Bach. I've been a professional full-time musician since 1979, and a member of the Pgh Musician's Union (American Federation of Musicians, Pgh Local # 60-471) for many years. My fees are very reasonable. Restaurant / Event Planner inquiries welcome (special rates)! We just want to again thank you for playing at our wedding on Sept 2nd. The music was exactly what we hoped for. We received many compliments on it & you certainly helped to complete our day. "Scott Elliott is a superb guitarist. I was truely lucky to have run across his web site when I searched acoustic guitarist. He is professional and gracious from the start. I never met with Scott in person prior to the wedding, just phone calls and emails, as he helped me plan out the music. Our special day was made even more special by Scott as all my guests praised his playing as I visited each table." "It was great meeting you and I am sure we will talk again! We had nothing but positive feedback about the music!" I was not there but heard WONDERFUL things about the quality of your performance! Bravo! Well done! I was told that you "really classed up the joint" and many said it was the best political event they have ever been to, in large part due to your music. Thanks again for your tremendous effort. I'm sure you will be gearing from me again!" Must be seated near a 3-pin grounded electrical outlet - I do not use portable generator power for outdoor events. Please also provide an armless chair (folding style in OK).